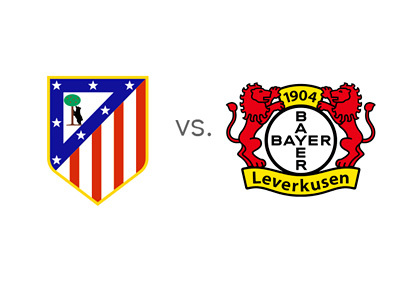 Leverkusen defied bookmakers in the first leg clash against Atletico Madrid by winning 1-0 at the BayArena. Few expect them to repeat that score when they pay a return visit for the 2nd leg clash at Vicente Calderon on Tuesday night March 17. Atletico's goalless draw against Espanyol on Saturday night pushed them down to the 4th position in the La Liga standings for the first time in years. One of the reasons for the Atletico goal drought may have stemmed from differences between the club's lead striker, Mario Mandzukic and coach Diego Simeone, which has seen the prolific scorer not figure in the starting XI of late. Fernando Torres is not in the same form he was when he joined the club early in the season. Moreover he doesn't make the ideal foil to Antoine Griezmann as Mandzukic does. Hence the attack is lacking in fluidity. Diego Godin & co. don't look sharp in the defense either. All this combined have led to one of the worst showing in recent times for the club. Their last eight matches have produced just 2 wins and as many as 5 losses. Roger Schmidt coached Bayern Leverkusen are not likely to let a very vulnerable Atletico off the hook. They are not short on attacking intensity as they displayed last Saturday when they thrashed a hapless Stuttgart 4-0 in a Bundesliga clash. Heung-Min Son and Josip Drmic may not be big names but could be relentless upfront. The Swiss scored twice in the win over Stuttgart, taking his Bundesliga tally to 6 goals from 19 matches. Past encounters between these two in 2010 and 2011 have both ended in 1-1 draws suggesting that the German club may prove difficult opponents for Atletico. The only thing going for Atletico right now is that they will be playing at home. They need to press the Leverkusen defense hard, for the Bundesliga No.3 club has a propensity to allow in goals under pressure. Leverkusen have let in as many as 29 from their 28 matches so far in the German League. Atletico need to thrash out the issues surrounding their key player Mario Mandzukic. Along with the other two strikers in the form of Torres and Griezmann, bookies are banking on the Madrid club to pile enough pressure on the German club to get a couple of goals at least.